Micromounts may be defined as permanently mounted mineral specimens which require magnification and illumination for proper observation. Micromounts vary in size from specimens so small they will fit on the point of a pin, to pieces about 22x22mm. Micromounts offer exquisite colour, unusual associations, perfection of crystals, rarity of species, and an enjoyment of mineral beauty seldom seen in larger specimens. Collection: There is so much micromaterial available from personal collecting in the field, through purchase from mineral dealers, and by trading that a large collection of minerals may be accumulated in a short time, yet at low cost. Mounting: Specimens are mounted in plastic boxes measuring about 26x26x22mm high. There are other sizes available to suit whatever is needed. These boxes are purchased overseas and usually is done collectively, to reduce costs. Photography: With today's digital camera’s it is possible to take some good photo’s of microminerals, as long as the specimen are not to small. 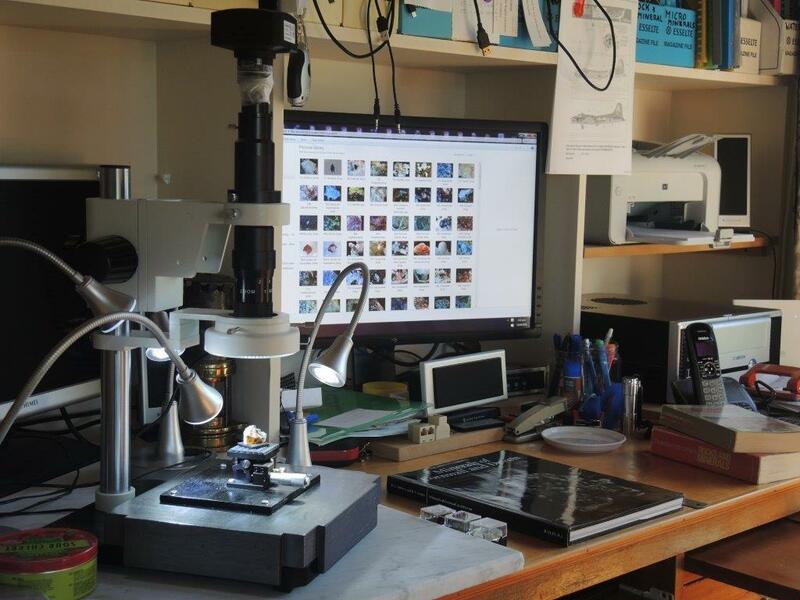 The ultimate way is using a digital camera mounted on a Stereo Triclinic (photo tube) Microscope. This is what we refer to as “Microscopy” The results are very satisfying and it should be the preferred way of Microphotography or Microscopy. The Club possesses the equipment for members to use and tuition will be given to those that are keen to learn. 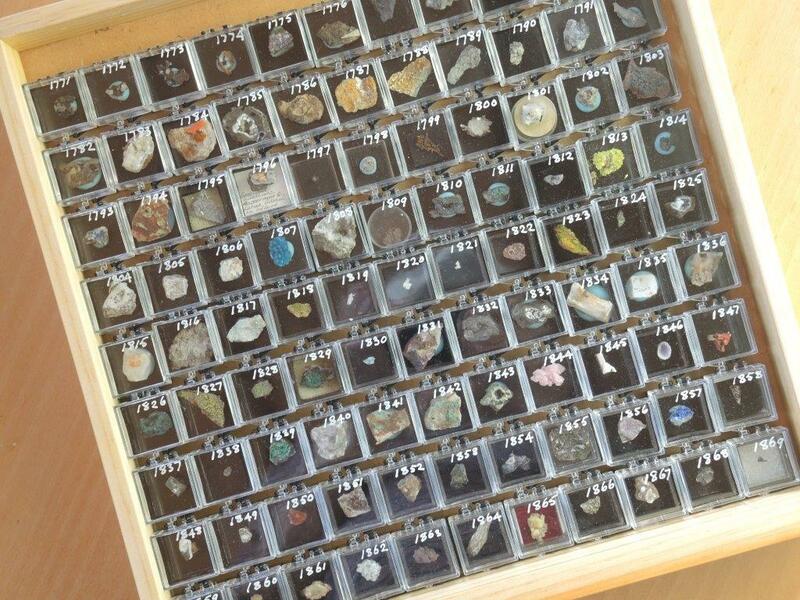 Club members have built a large collection of micro-minerals from the Nelson area and elsewhere. Many of these minerals have been photographed to create a digital database on micro-minerals. 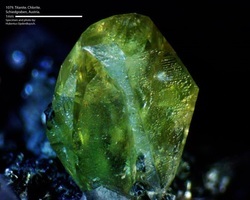 A selection of the photographs can be found in the Micro-mineral gallery.